Bryan Berard was born in Woonsocket on March 5, 1977. 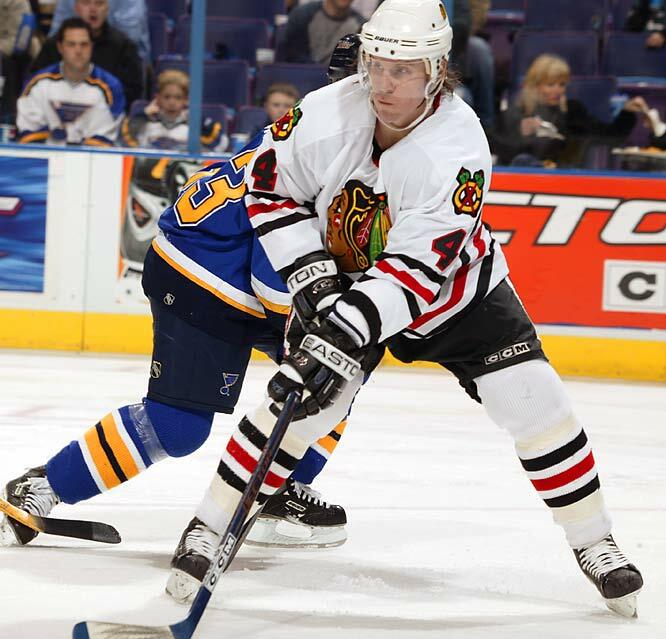 He is one of the greatest hockey players to ever suit up for Mount St. Charles. A two-time first team All-State selection, he helped to lead Mount to state titles in 1992, 1993, and 1994. During his three years at MSC, he scored 22 goals and had 53 assists for a total of 75 points from his defensive position. 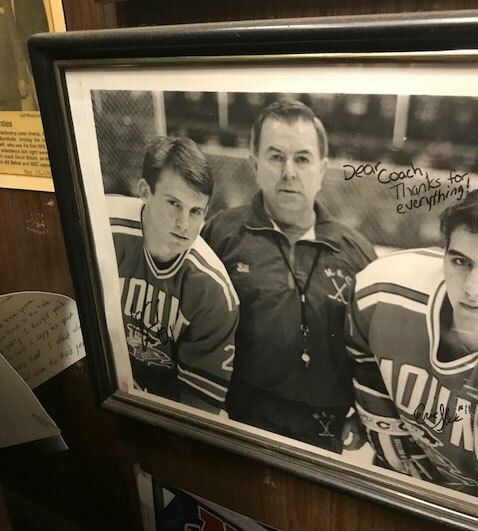 In the 1993-94 interscholastic league playoffs, his clutch three goals and three assists helped to keep the Mount’s legendary state championship streak alive. 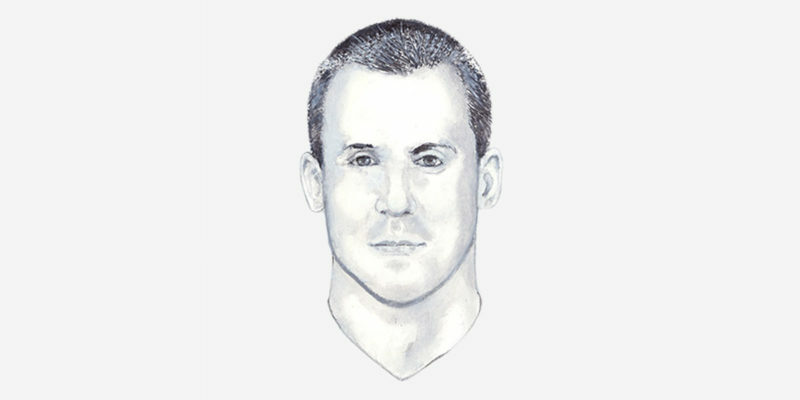 After leaving the Mount, Bryan played for the Detroit Junior Red Wings and the Detroit Whalers of the Ontario Hockey League. 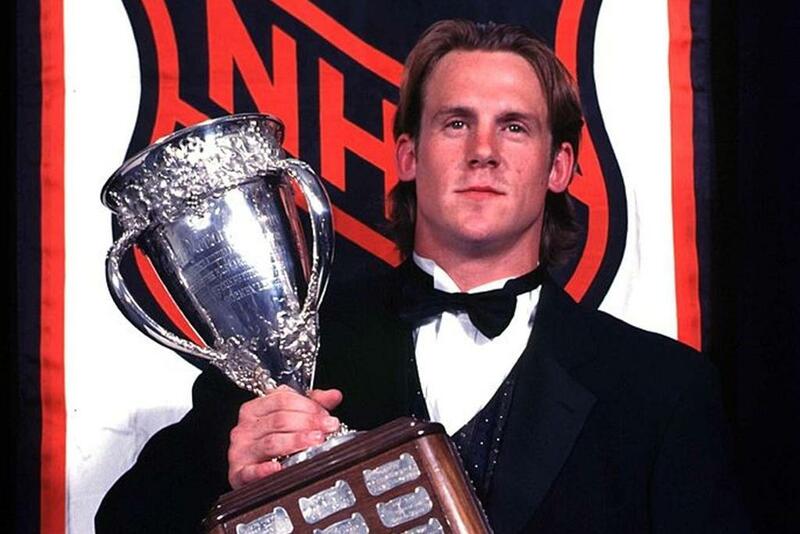 In both years, he was awarded the Max Kaminsky Trophy as the league’s Most Outstanding Defenseman. In 1995, Bryan represented his country in the first of 4 World Championship tournaments he would play in, culminating with the 1998 Olympic Games in Nagano. In the 1995 National Hockey League Entry Draft, Bryan was the 1st overall pick, the second Rhode Islander, after Brian Lawton, another Mountie, to achieve that distinction. His rookie year with the New York Islanders in 1997 was an instant success. 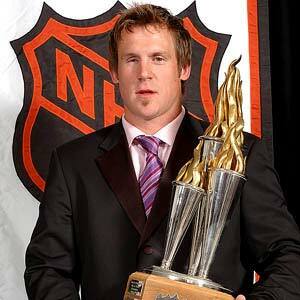 So much so that he was awarded the Calder Trophy as the National Hockey League’s Top Rookie Player. Bryan’s NHL career spanned 619 games. During that time he played for the New York Islanders, Toronto Maple Leafs, New York Rangers, Boston Bruins, Chicago Black Hawks, and the Columbus Blue Jackets. He amassed a total of 323 NHL points on 76 goals and 247 assists, the most ever by a native-born Rhode Islander. During the 2000-01 season, while playing for Toronto, he suffered a severe eye injury resulting in a retinal tear and a detached retina. Most players would have packed it in, but Bryan was determined to play again. After seven eye operations, he made his NHL comeback with the Rangers in 2001. As a result of his perseverance and his dedication to hockey, Bryan was awarded the Bill Masterton Trophy by the National Hockey League in 2004. 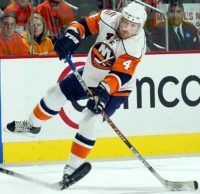 He skated in his final NHL campaign in 2008, fittingly with the team he came in with, the New York Islanders.